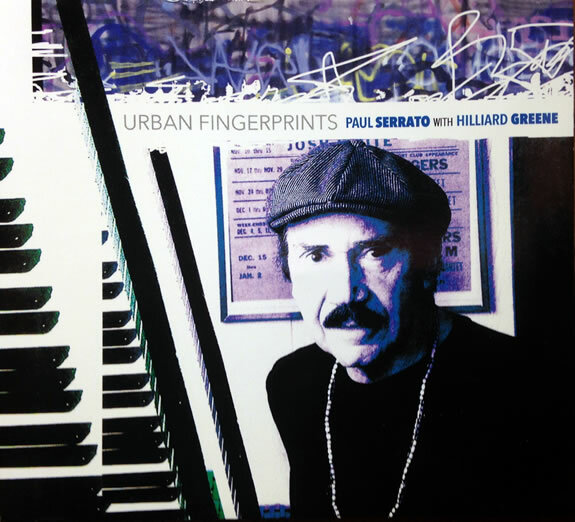 Journeyman jazz pianist, composer, arranger and recording artist Paul Serrato has packed much living into 83 years. The accouterments of that long, well-lived life fill to overbrimming the textured South Omaha house he resides in. The humble dwelling is in the shadow of Vinton Street’s mural-adorned grain silos. They are distant echoes of the skyscrapers of New York, where for decades he plied his trade gigging in clubs and cabarets and writing-performing musical theater shows. After all that time in Manhattan, plus spending bohemian summers in Europe, he returned to Omaha eight years ago upon the death of his mother. He inherited her snug bungalow and it’s there he displays his lifetime passion for arts and culture. Books, magazines, albums, DVDs, VHS tapes and CDs fill shelves and tables. Photos, prints, posters and artworks occupy walls. Each nook and cranny is crammed with expressions of his eclectic interests, There’s just enough space to beat a measured path through the house and yet everything is neat and tidy under the fastidious eye of Serrato. “This is how we live in New York in our cluttered, small apartments,” he said. In a music room is the Yamaha keyboard he composes on and gigs with as well as manuscripts of completed and in-progress instrumental works. Though he’s recorded many CDs released on his own record labels, many of his tunes have never been made public. His latest release “Gotham Nights” on his Graffiti Productions label has charted nationally since January. Some of his catalogue is licensed for television. He finds it “exciting” to hear his music on TV or radio. 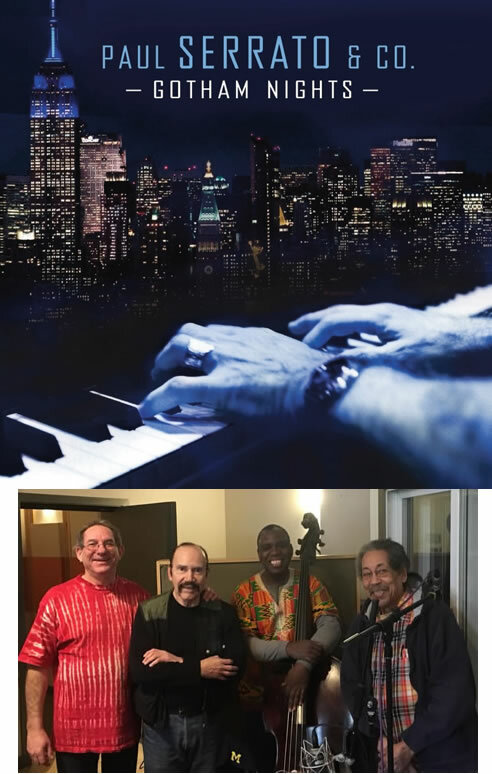 Tracks from “Gotham Nights” have aired on the nationally syndicated “Latin Perspective” public radio program. Serrato has made provisions for his archives to go to his alma mater, Adelphi University, when he dies. “They’ve been very supportive, very receptive about accepting my archives,” he said. His home contains reminders of his second career teaching English as a Second Language to international students, including photos and letters from former students with whom he corresponds. All these years teaching immigrants and refugees, combined with his many travels, gives Serrato friends in faraway places. A friendship with a former student from Japan led to Serrato making two concert tours of the Asian nation. He began working as an ESL instructor long ago in New York. He earned a master’s degree in Urban Education from Adelphi. He now teaches ESL for Metropolitan Community College in Omaha. Serrato’s always shown an aptitude for learning. Growing up, he was drawn to the big upright piano his aunt played in church. It wasn’t long before he gained proficiency on it. Music gave him his identity at Omaha Creighton Prep. All it took for him to shine was affirmation. iHe was starved for encouragement, too, coming from a broken family of meager meansHe performed classical recitals and competed in talent shows at school and community centers, even on radio. “I won a couple of first prizes on KOIL” He played on a WOW show hosted by Lyle DeMoss. All of it made him hungry for more. His classical training then took a backseat to captivating new sounds he heard on jazz programs out of Chicago on the family’s old Philco radio set. 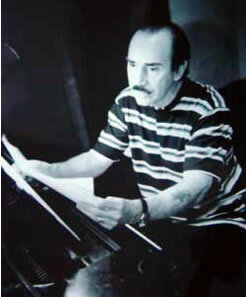 He began composing riffs on popular song forms, mostly big band and Broadway show tunes. After high school Serarto’s awakening as an aspiring jazz artist pulled him east. After a stint at Boston University he went to New York. It became home. The sheer diversity of people and abundance of opportunity is staggering. “You meet people of all different persuasions, professions, everything. Finding one’s kindred spirit circle or group, he said, “is so easy in New York.” “You don’t find it, it finds you. I made lots of friends. I’d meet somebody in a coffee shop and it would turn out they were producing a play and needed somebody to write music. I’d say, ‘I write music’. ‘Oh, why don’t you do it?’ they’d say. Serrato worked with other Warhol personalities, including Candy Darling and Holly Woodlawn. Whatever work he could find, Serrato did. “I had different kinds of jobs. I was a bartender, a bouncer, a waiter, an artist’s model. That’s how I supported myself. You have to hustle and do whatever it takes. That’s the driving force. That’s why you’re in New York. That’s why it’s competitive and there’s that energy because you look around and you see what’s possible. Serrato believes everyone needs to find their passion the way he found his in music. Everything he experienced in NYC fed him creatively. “As an artist’s model I met all these wonderful artists and art teachers. That’s when my passion for visual art and painters really got implanted. Always the adventurer, he smuggled back copies of banned books. Jazz eventually became his main metier. He earned his bachelor’s degree in Jazz Studies and Latin American Music from Harbor Conservatory for the Performing Arts in East Harlem. “The fact that it’s not mainstream music is probably to its benefit because that means you can be individual, you don’t have a lot of hierarchy breathing down your neck saying do it this way, do it that way. So a jazz artist can sort of be what he or she wants to be. A few jazz artists have managed to gain broad crossover appeal. “But for every artist like that,” he said, “there’s a legion of others like myself that don’t have that kind of profile. The Life can take a toll. Making quality music, not fame, remains Serrato’s ambition. 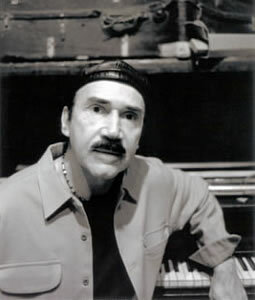 In New York he got tight with similarly-inclined musicians, particularly “master Latin percussionist” Julio Feliciano. “He was Yorkirican – a New Yorker of Puerto Rican descent. Just full of energy and vitality and ideas. 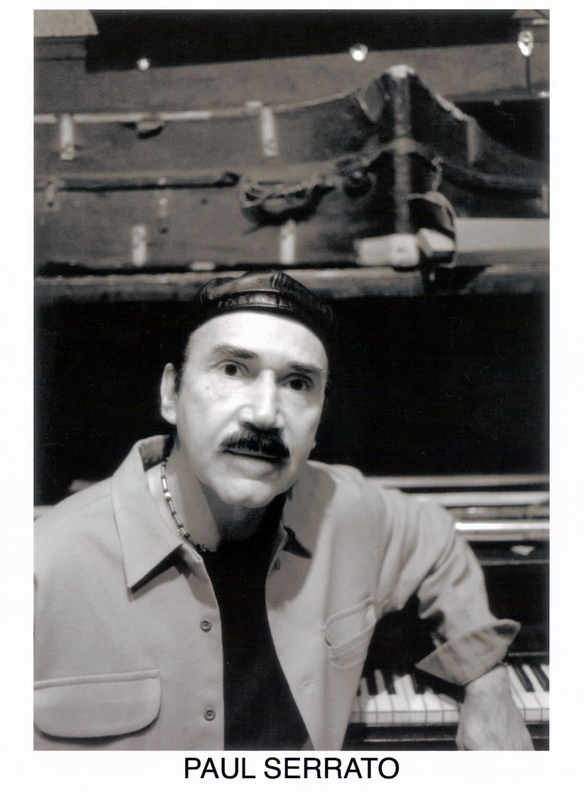 He contributed his deep musicianship to my many recording sessions and New York gigs. We enjoyed that vibe that enables the most successful collaborations. That also includes Jack ‘Kako’ Sanchez. They were a percussion team. It’s evident on my record ‘More Than Red,’ which spent many weeks on the national jazz charts. What Serrato misses most about New York is “the cultural network” he had there that he lacks here. “Like I have an idea for a musical project right now. In New York I could just pick up the phone and tell these guys, ‘Come over.’ and they’d come over and we’d start working on it. I can’t do that here. I don’t have that kind of musical infrastructure here. Just as musician Preston Love Sr. found when he returned to Omaha after years away, Serrato’s found his hometown less than inviting when it comes to jazz and to the idea of him performing his music. He turns down some offers because, in true New Yorker fashion, he doesn’t drive and public transportation here can’t easily get him to out-of-town gigs. Some discerning listeners have supported his music, including KIOS-FM. He’s cultivated a local cadre of fellow arts nuts. He sees shows when he can at the Joslyn, Kaneko, Bemis, Holland and Orpheum. 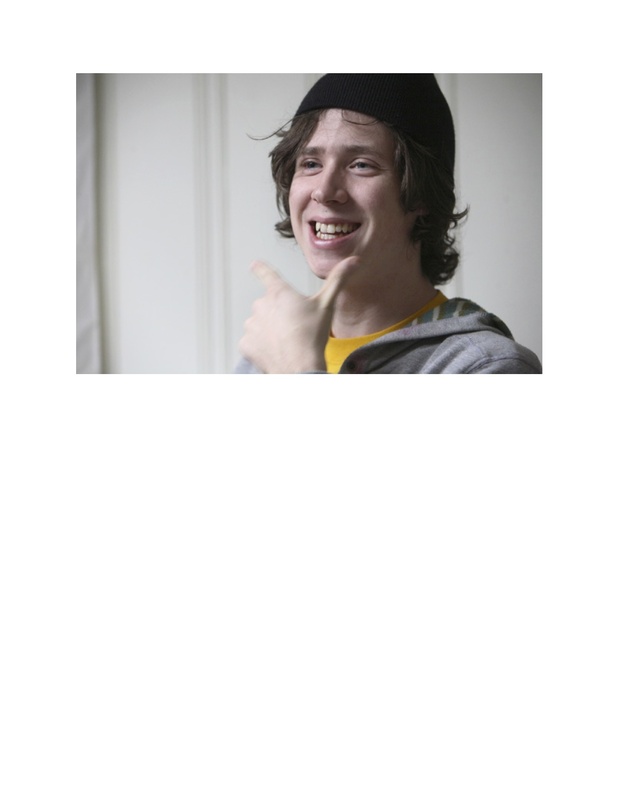 His best buddy in town is another New York transplant, David Johnson. Their shared sensibilities find them kvetching about things. What Serrato won’t do is compromise his music. His website says it all: Urban Jazz – Not by the Rules. He’s put out CDs on his own terms since returning to Omaha. 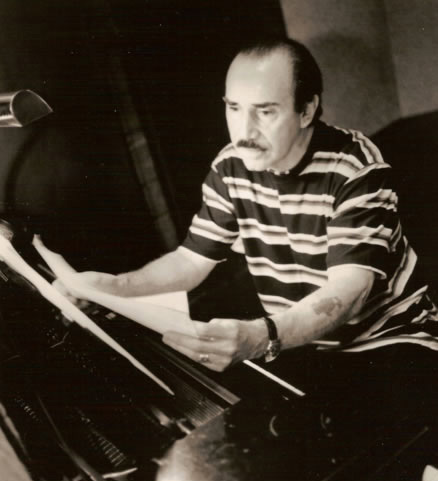 For “Gotham Nights” he booked two four-hour recording sessions in Manhattan. “Gotham Nights” marks a change for Serrato in moving from artsy to mainstream. The album is the latest of many projects he’s done that celebrate his muse, New York, and its many notes. He was there teaching only blocks from ground zero when the twin towers came down on 9/11. But his class assignments always encourage students to celebrate their own culture, too.